You can depend on Sealy Cuyler for dignified and respectful services. We have over 30 years of combined experience in serving our community. 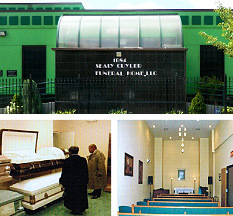 Our philosophy regarding funeral planning is that no two funerals are the same. Each family we serve has unique and important needs that we strive to satisfy. By working closely with your family we can arrange a funeral ceremony that will express the special, one-of-a-kind relationship that you shared with your loved one and help enrich the memories that you will cherish forever. We believe that you will only find this type of dedication from a local , family owned and operated funeral home.